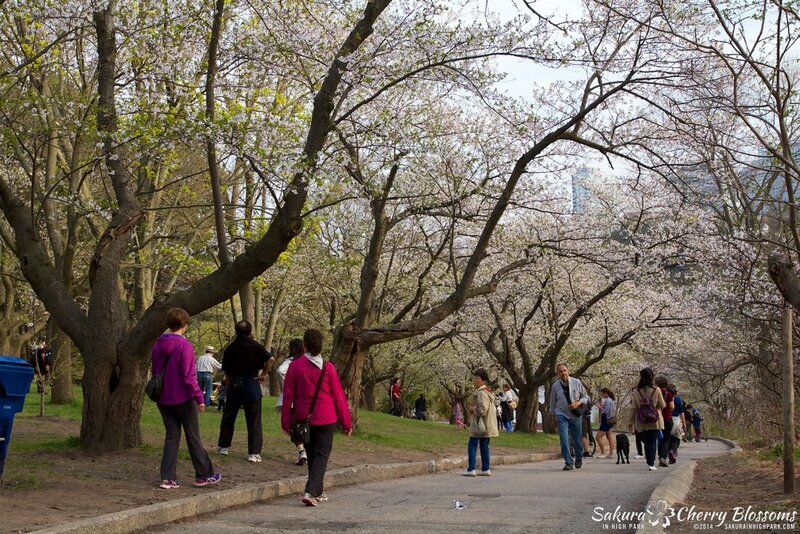 Sakura Watch, May 13, 2014 - Peak bloom throughout the park, but fewer blossoms overall as compared to previous years. 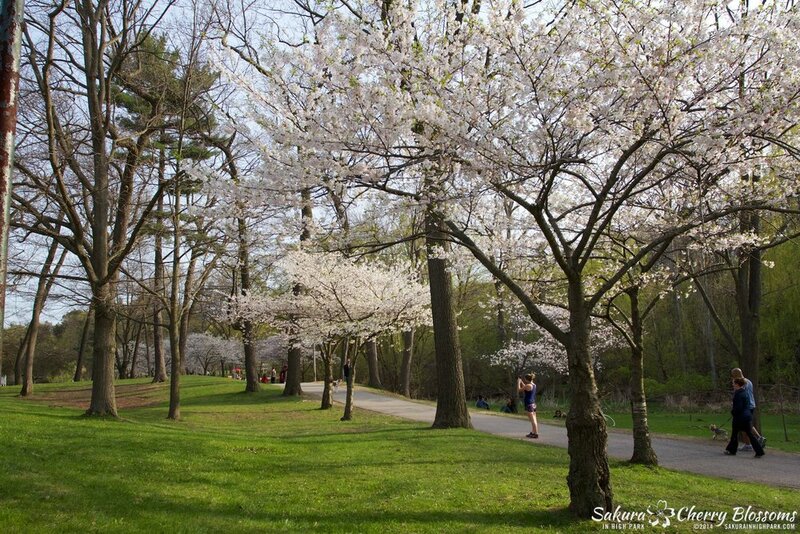 The cherry blossoms have opened to over 90-95% per tree, and there are only very few buds that remain to begin. 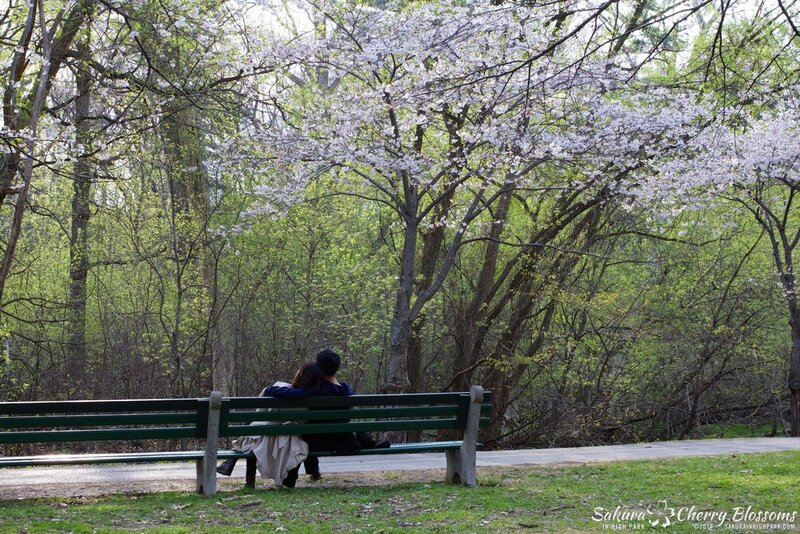 However, viewers will note that the look of the trees are much less dramatic and impactful as previous years and will see many more leaves on the trees. 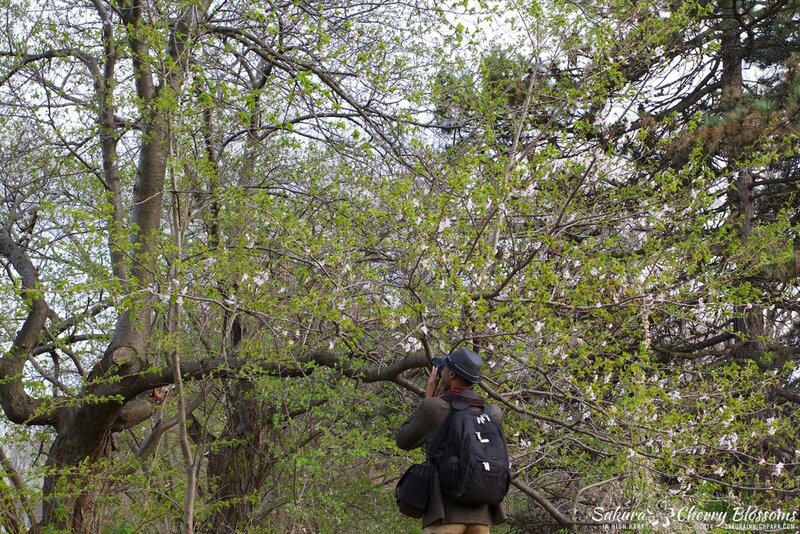 The winter of 2014 was one of our longest and harshest in many years, and this is the toll it has taken on our delicate sakura // cherry blossoms. 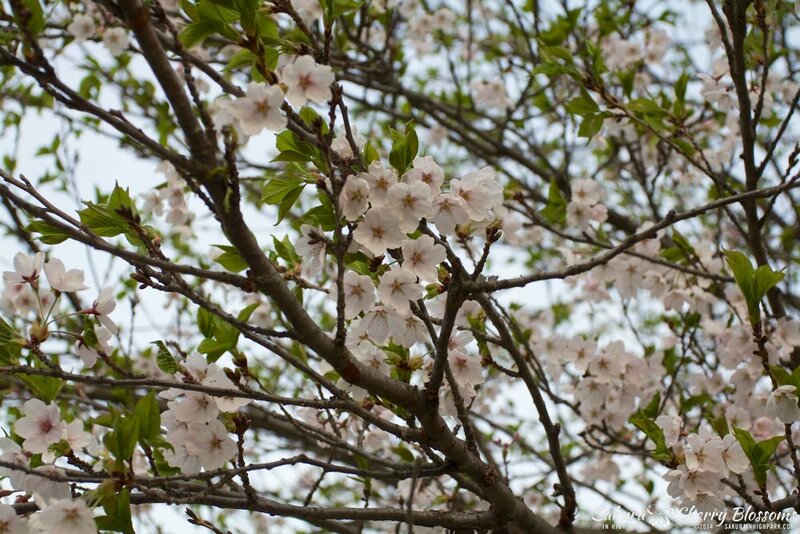 These trees are showing the lowest amount of overall blossoms. 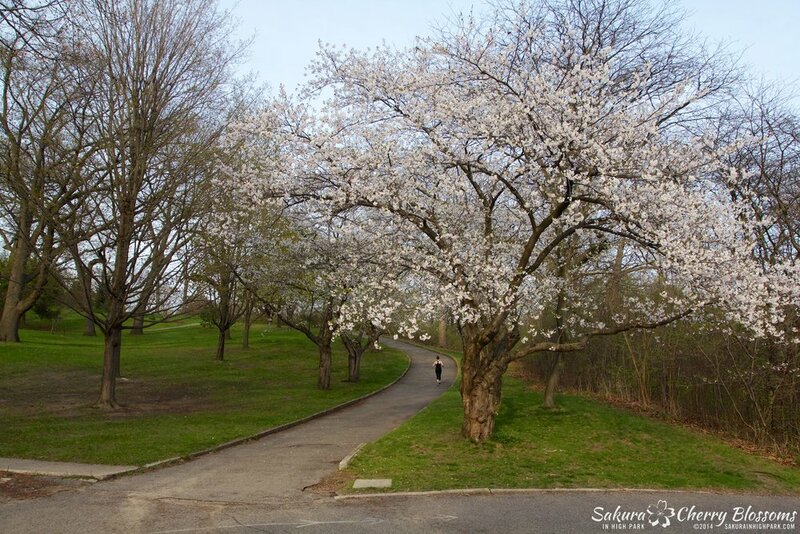 Blooms look more like scattered snowflakes on the trees, though the two trees by the parking area are the best to see in this area. The upside is many branches are very low and make for easy close-up photo opportunities (just remember not to break or shake the trees). 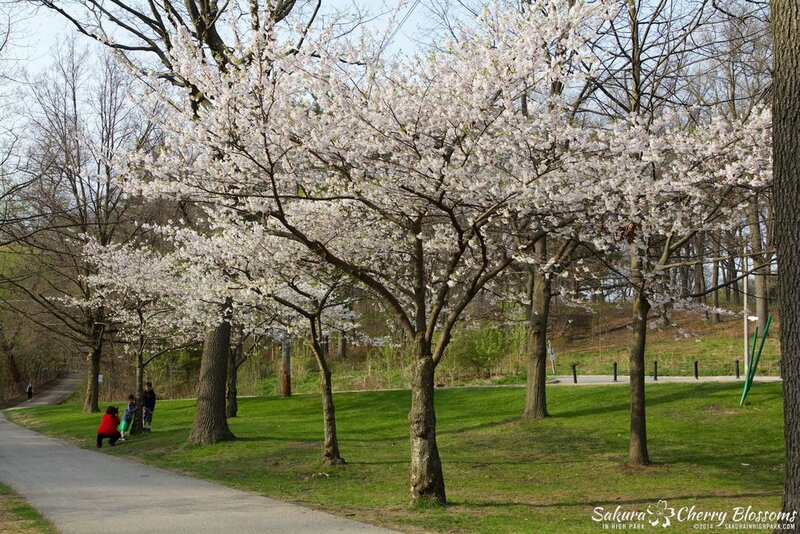 These trees are also showing a little number of overall blossoms. These can be seen in pairs and small groups along the road, deeper in the fields and a single large tree on the hill to the left of the way. 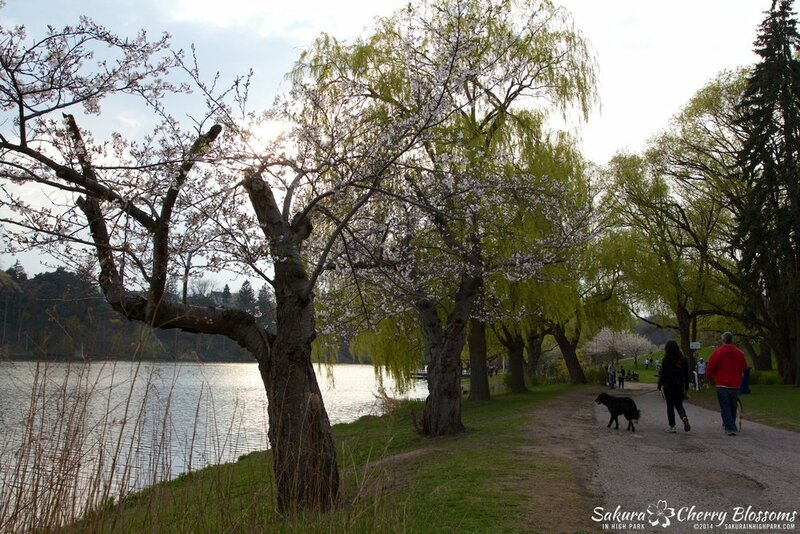 These trees are showing the right amount of blossoms throughout the largest group of trees on the hill and lining Grenadier Pond. The impact overall is less dramatic this year, but there is still an excellent number to enjoy for as long as they last. 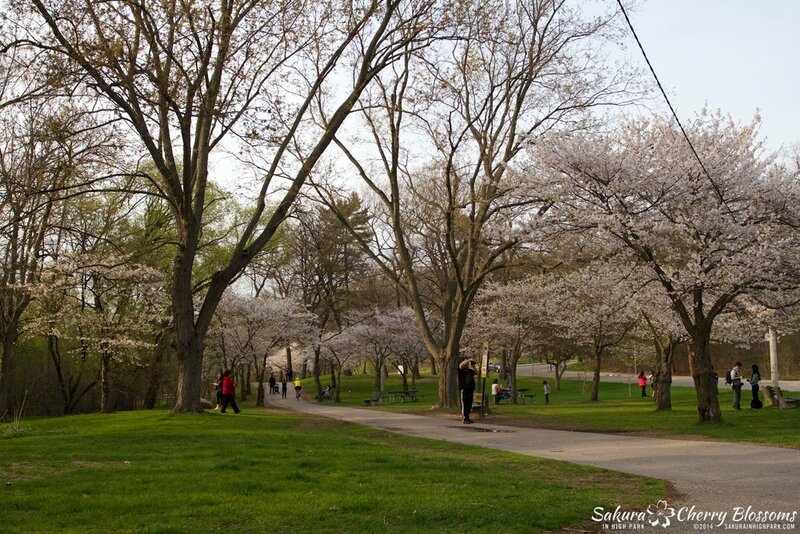 These trees are also showing a good amount of blossoms. 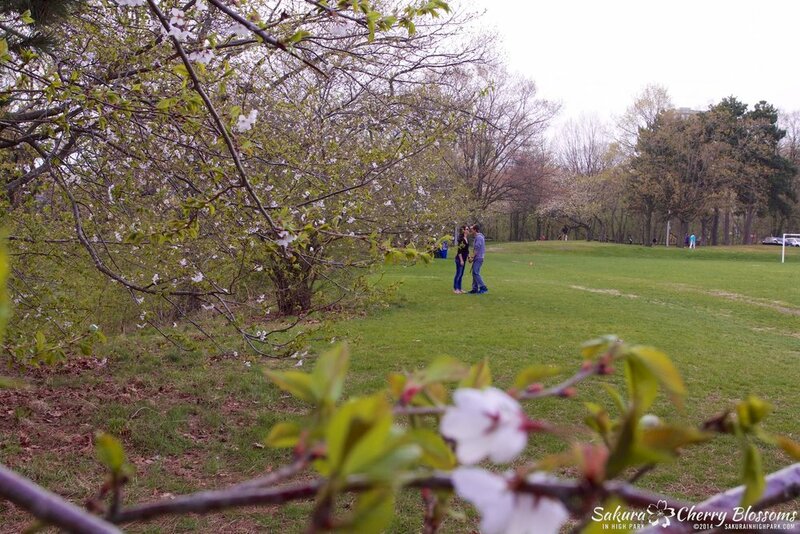 The group overall tends to attract smaller crowds then near Grenadier Pond and can be just as enjoyable and beautiful to visit. How long will the bloom last? 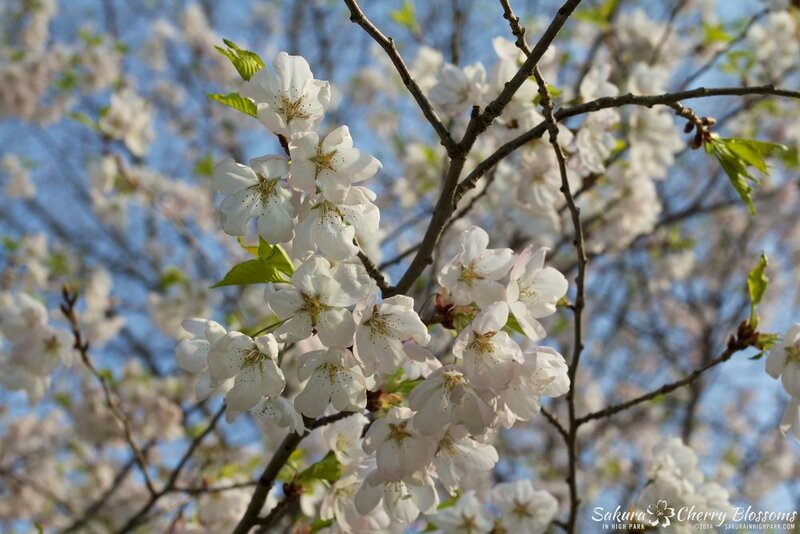 Now that the trees are in peak bloom, the weather is the most significant factor in seeing how long we can keep them enjoying the sakura cherry blossoms before they begin to fall. 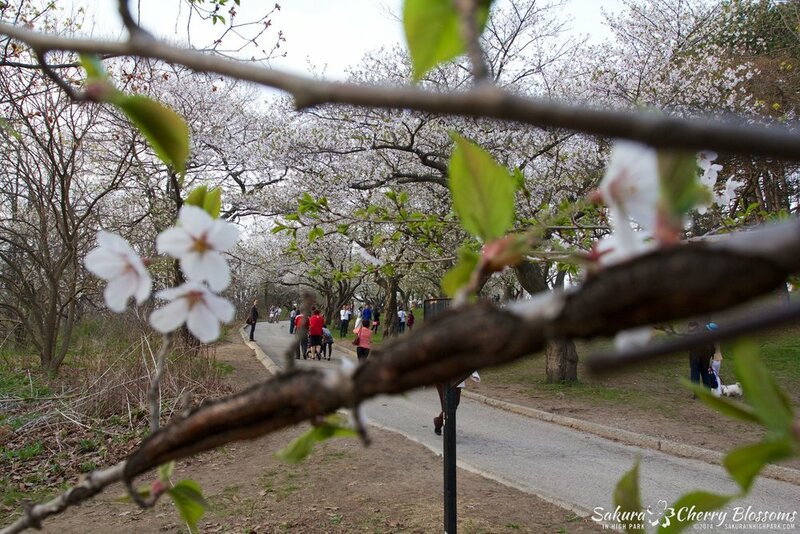 You may still be able to enjoy the blooms over the long weekend as long as we don't have any strong winds or rainstorms to knock off the blossoms this week. 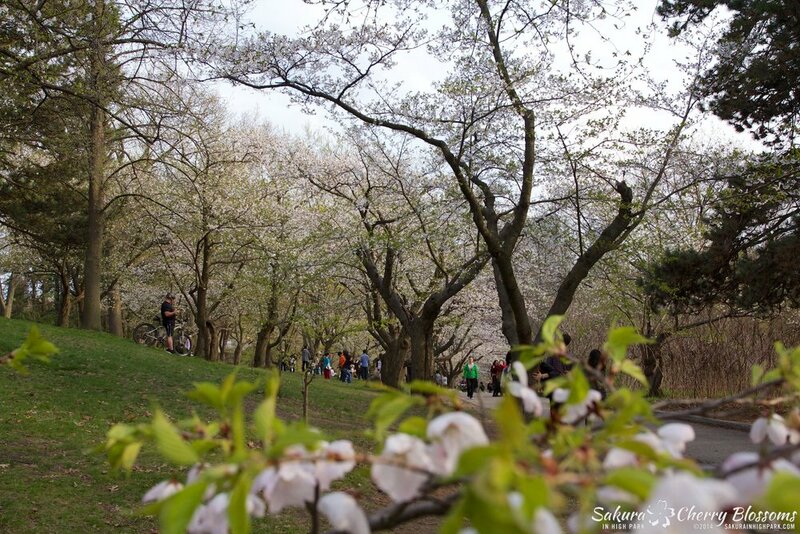 As always, I will post more updates throughout the week for the long weekend to help ensure everyone has a chance to visit the sakura this year - stay tuned!